From BAFTA and International Emmy award-winning screenwriter Danny Brocklehust, Come Home is a powerful, absorbing and deeply emotional family drama, told with levity, laughter and an emotional truthfulness. Produced by RED Production Company for BBC One, this compelling drama explores the messy realities of parenthood, marriage and what happens when a mother switches the reset button on her life. 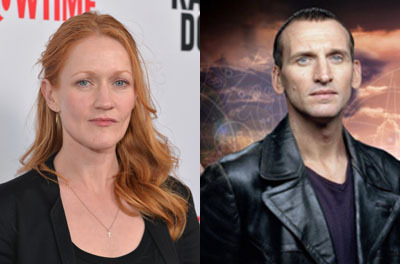 Set and filmed in Northern Ireland, the drama will focus on a family reeling; from mother Marie, played by Paula Malcomson (Ray Donovan, Broken) who has made the hardest decision of her life, to her bereft husband Greg, played by Christopher Eccleston (The A Word, Fortitude) and their three children. The 3×60’ series which will be distributed by Studio Canal TV asks the question, what does it take for a mother to walk out on her family, leaving her children behind? What impact does it have and how do others judge her? This is a drama about how lives cannot just be walked away from. At the heart of the series is an emotional mystery; why did Marie flee? Come Home has been commissioned by Piers Wenger, Controller of BBC Drama, and Charlotte Moore, Director of BBC Content, and will be produced by RED Production Company (Happy Valley, Ordinary Lies) for BBC One. Nicola Shindler and Danny Brocklehurst will executive produce with Madonna Baptiste producing for RED Production Company. Tommy Bulfin will executive produce for the BBC. Come Home is the first network BBC drama commission to be announced since the renewal of the BBC and Northern Ireland Screen partnership agreement in April this year. This joint agreement sees the BBC and Northern Ireland Screen work together to invest financially and creatively in developing an internationally competitive screen industry in Northern Ireland.